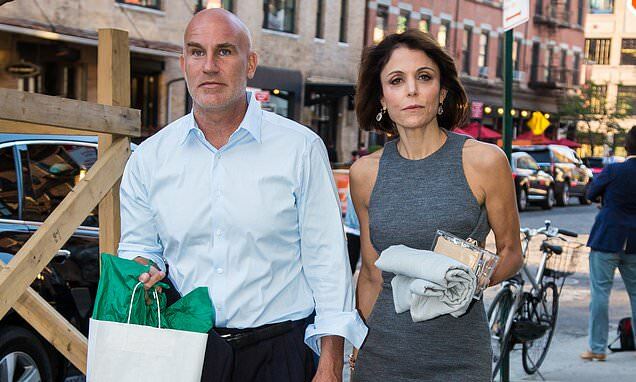 Bethenny Frankel opened up for the first time about her 'secret' engagement to late fiance Dennis Shields during Wednesday's emotional episode of RHONY. 'It wasn't what a natural engagement should be,' the mother-of-one explained before going into detail. Shields died of an apparent overdose last August. He and Bethenny had dated on and off for several years, during which time he made appearances on her Bravo reality series. According to Bethenny, the CEO of LawCash popped the question during a dinner date back on April 25 2018. And though the pair were very in love, Frankel said she didn't exactly give him a clear answer. 'It's funny because he said to me, "Did you say yes?" And I said, "Well, I love you and I can't believe you did this but we have to talk about some conditions and some terms and how things are going to change" — issues I've had with partnership and consistency,' Frankel said. Last night's episode of the Real Housewives captured the Shark Tank guest star dealing with her grief by helping out victims of Hurricane Florence. The 48-year-old reality star flew into North Carolina in the wake of Hurricane Florence in September 2018 that inundated Fayetteville, North Carolina. The philanthropist visited emergency shelters to hand out cash cards, solar-powered lights, toys for children and treats for pets. 'There's nothing as real as me being there,' Bethenny said as she hugged grateful flooding victims.